Him: What have you been up to? Him: Isn’t fashion week every week? Me: What position does Reggie Bush play? I need to know for an article I’m working on. Him: Didn’t you watch the Superbowl yesterday? Me: Yes but I wasn’t paying attention. Fortunately, fashion designers and the Olympic team have had a bit more luck. 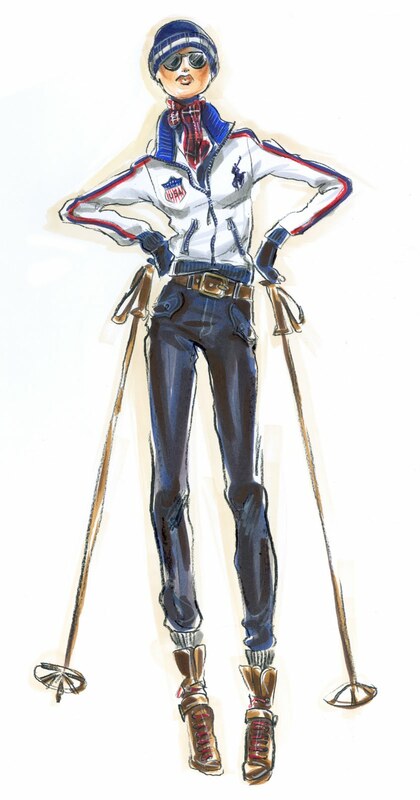 With the 21st Winter Olympics starting on February 12th (and overlapping, ironically, with Fashion Week) Ralph Lauren, Rodarte, Vera Wang and DSquared2 are all collaborating with the top athletes in Olympic sports. Vera Wang is designing an outfit for figure skater, Evan Lysacek. 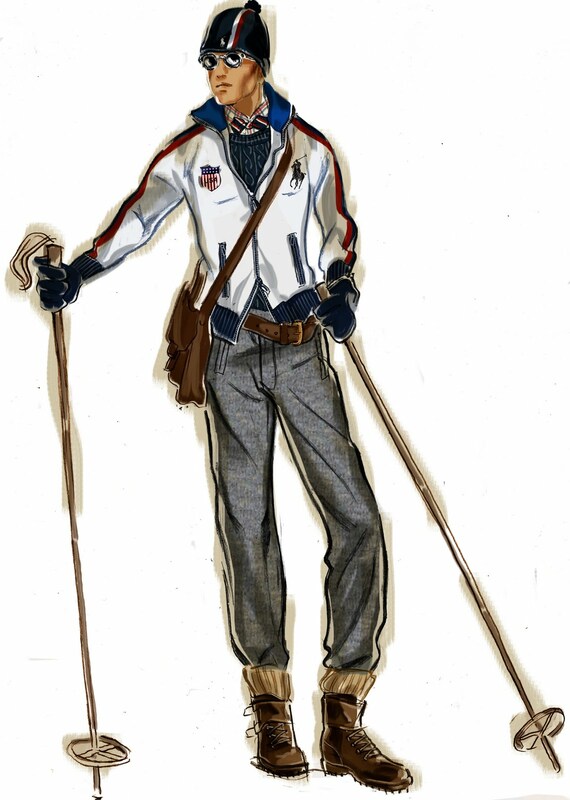 Ralph Lauren, the purveyor of American classic style,is designing Team USA’s outfits for the opening ceremony and villagewear, with jackets, white pants, hats and boots. Check out some of the sketches and pieces below. Love! 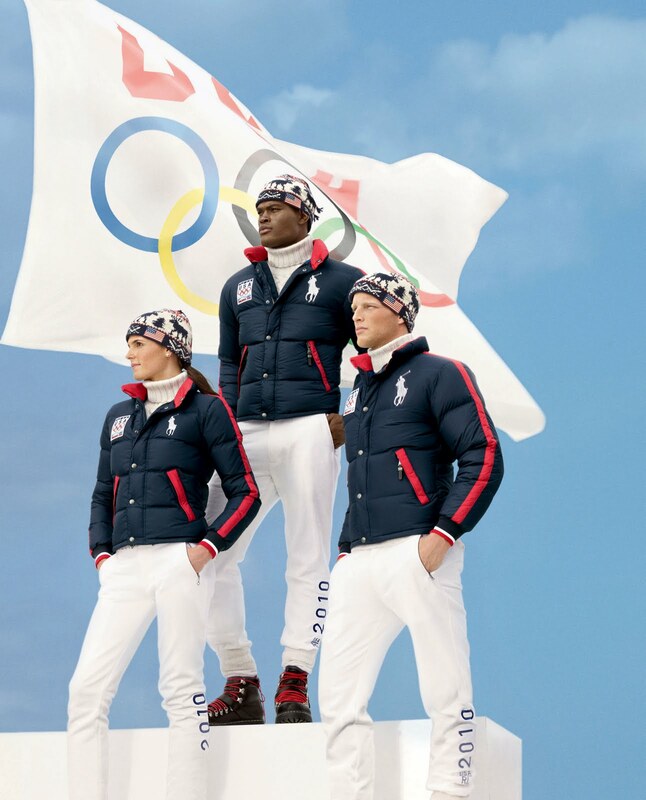 All the pieces from the Ralph Lauren Olympic collection are available on http://www.ralphlauren.com. I am thrilled that they’re also offering the Create Your Own Olympic polo where you can select your own colors and flag to show your favorite team or country support. New York Times Magazine featured thirteen Olympians training in Rodarte knits. The photographer, Ryan McGinley, shot breathtaking images of Olympian fliers like figure skaters, Johnny Weir and Evan Lysace and ski jumper, Anders Johnson, that are truly works of art. 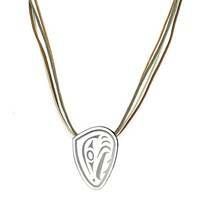 Birks Jewelry is designing an exclusive line of sterling silver and 18KT gold necklaces, earrings and pendants to commemorate the Olympic and Paralympic Winter Games. 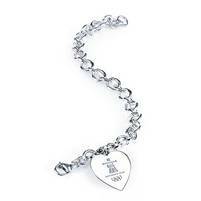 The elegant, dainty jewelry is where femininity and sports collide. $60, 350 CAD. 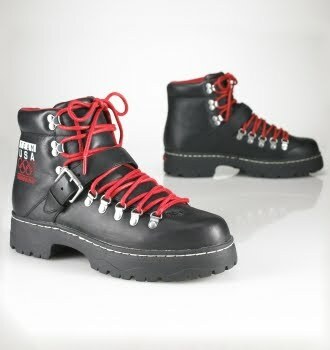 http://www.birks.com. Canadian design team, Dean and Dan Caten of DSquared2 are designing outfits for all the Canadian athletes during the opening and closing ceremonies of the 2010 Vancouver Olympics. I love watching Olympian athletes dominate Winter Sports, especially when they’re wearing amazing designer gear. 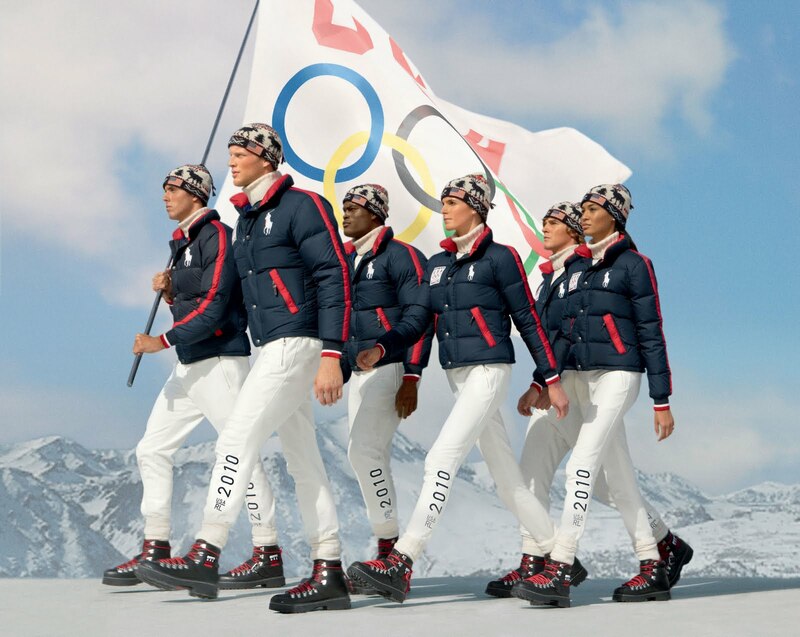 But less fashion-minded sports fans are criticizing brands like Ralph Lauren for milking the Olympics as a branding opportunity and displaying their logos so prominently. Hmm. I guess the union between Fashion and Olympic sports isn’t without its share of conflict afterall. Do you agree? What do you think of the lines and collaborations, Glamazons? Will you be watching?